In our hustle and bustle lives, working 40 or more hours a week has become the norm, leaving limited time for taking care of duties at home. This has led to an increased need for a nanny, housekeeper, gardener, or perhaps all three! What many people don’t realize, however, is that while their responsibilities at home may be going down, their tax bill could be going up. If you employ someone who’s subject to the “Nanny Tax,” you aren’t required to withhold federal income taxes from the employee’s pay. You have to withhold only if your nanny asks you to and you agree to withhold. In that case, have the nanny fill out a Form W-4 and give it to you, so you can withhold the correct amount. However, you may be required to withhold social security and Medicare tax (FICA). And you may also be required to pay (but not withhold) federal unemployment (FUTA) tax. FICA: You have to withhold and pay FICA taxes if your nanny earns cash wages of $2,000 (annual threshold) or more (excluding the value of food and lodging) during calendar year 2016 ($1,900 in 2015). If you reach the threshold, the entire wages (not just the excess) will be subject to FICA. However, if your nanny is under age 18 and child care isn’t his or her principal occupation, you don’t have to withhold FICA taxes. So, if your nanny is really a student who is a part-time baby-sitter, there’s no FICA tax liability for their services. On the other hand, if your nanny is under age 18 and the nanny job is their principal occupation, you must withhold and pay FICA taxes. You should withhold from the start if you expect to meet the annual threshold; your nanny won’t appreciate a large, unexpected withholding from his or her pay later on. If you aren’t sure whether the annual threshold will be met, you can still withhold from the start. If it turns out the annual threshold isn’t reached, just repay the withheld amount. If you make an error by not withholding enough, withhold additional taxes from later payments. Both an employer and a nanny have an obligation to pay FICA taxes. As an employer, you are responsible for withholding your nanny’s share of FICA. In addition, you must pay a matching amount for your share of the taxes. The FICA tax is divided between social security and Medicare. The social security tax rate is 6.2% for the employer and 6.2% for the nanny, for a total rate of 12.4%. The Medicare tax is 1.45% each for both the employer and the nanny, for a total rate of 2.9%. Example: In 2016, you pay your nanny $300 a week, and no income tax withholding is required. You must withhold a total of $22.95, consisting of $18.60 for your nanny’s share of social security tax ($300 × 6.2%) and $4.35 ($300 × 1.45%) for your nanny’s share of Medicare tax. You would pay her a net of $277.05 ($300 − $22.95). For your (employer’s) portion, you must also pay $22.95 ($300 × 7.65%), for total taxes of $45.90. If you prefer, you may pay your nanny’s share of social security and Medicare taxes from your own funds, instead of withholding it from her pay. Using the figures from the above example, for each $300 of wages, you would pay your nanny the full $300 and also pay all of the total $45.90 in taxes. 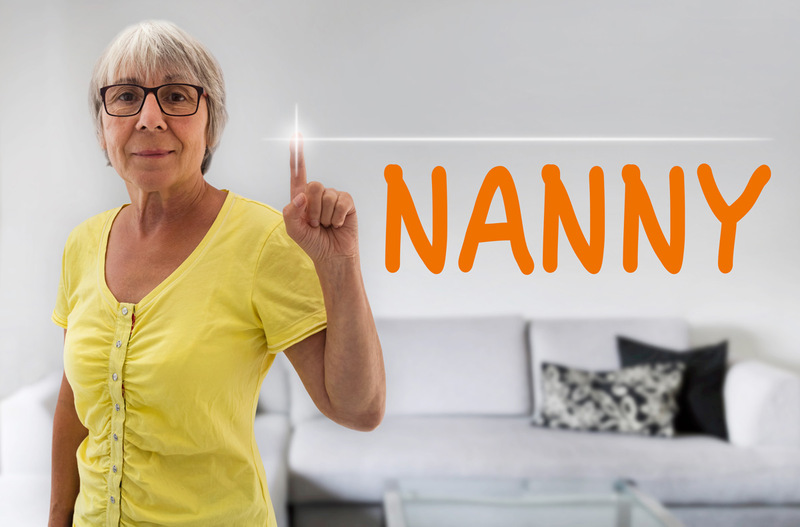 If you do pay your nanny’s share of these taxes for her, your payments aren’t counted as additional cash wages for social security and Medicare tax purposes. In other words, you don’t have to compute social security and Medicare tax on the payments. However, your payments of his or her taxes are treated as additional income to the nanny for federal income tax purposes, so you would have to include them as wages on the Form W-2 that you must provide, as explained below. FUTA: You also have an obligation to pay FUTA tax if you pay a total of $1,000 or more in cash wages (excluding the value of food and lodging) to your nanny in any calendar quarter of the current year or last year. The FUTA tax applies to the first $7,000 of wages paid. The maximum FUTA tax rate is 6.0%, but credits reduce this rate to 0.6% in most cases. FUTA tax is paid only by the employer, not by the employee, so don’t withhold FUTA from the nanny’s wages. Reporting and paying: You must satisfy your “Nanny Tax” obligations by increasing your quarterly estimated tax payments or increasing withholding from your wages, rather than making an annual lump-sum payment. As an employer of a nanny, you don’t have to file any of the normal employment tax returns, even if you’re required to withhold or pay tax (unless you own your own business, see below). Instead, you just report the employment taxes on your tax return, Form 1040, Schedule H.
On your income tax return, you must include your employer identification number (EIN) when you report the employment taxes for your nanny. The EIN isn’t the same number as your social security number. If you already have an EIN from a previous nanny, you may use that number. If you need an EIN, you must file Form SS-4 to get one. Click here for a blank copy of Form SS-4. You’re also required to provide your nanny with a Form W-2. If his or her 2016 wages are subject to FICA or income tax withholding, the W-2 is due by Feb. 1, 2017. Additionally, you must file a Form W-2 for 2016 with the Social Security Administration by Feb. 28, 2017. Your EIN must be included on the Form W-2.